Ann Radcliffe, “The Romance of the Forest” – 1791. You could be forgiven for missing it – because just like Fate, it will sneak up on you. 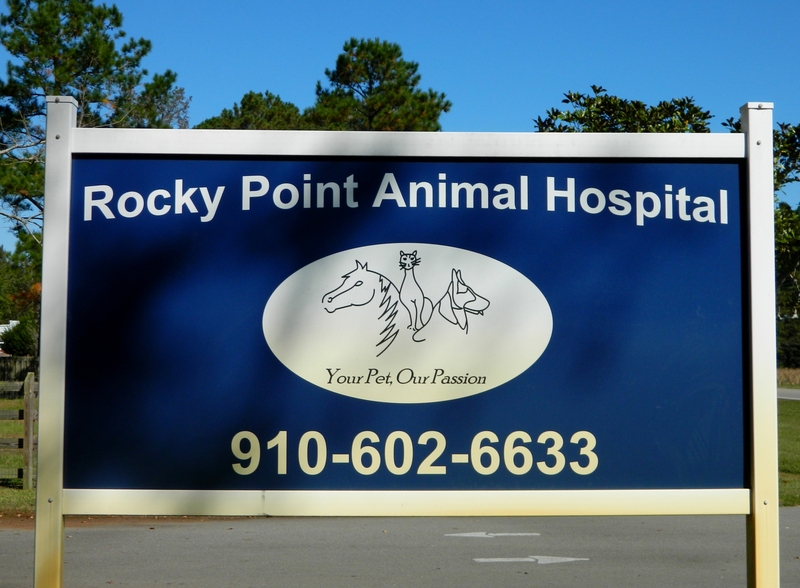 While you might have missed it, locals in this area know and love the Rocky Point Animal Hospital. 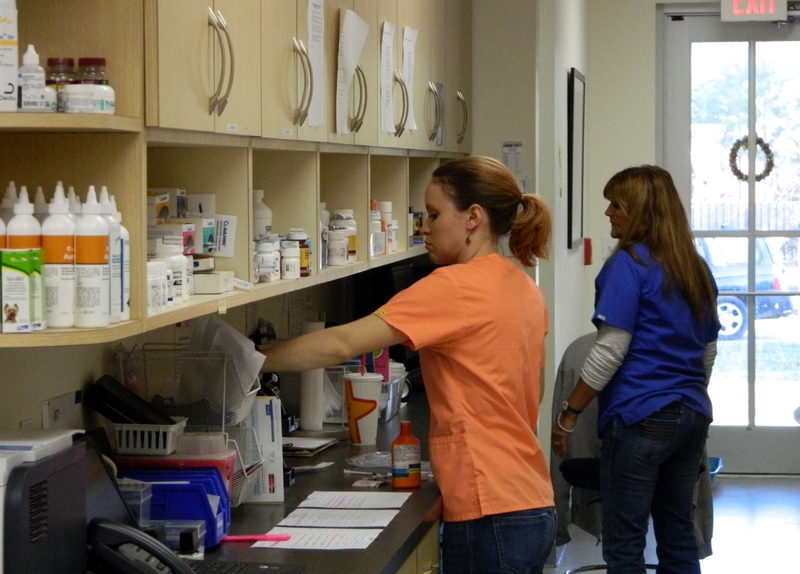 The entire staff – from owner/director Dr. Joni Gnyp all the way down to the receptionists – truly epitomize their motto “Your Pets are Our Passion”. 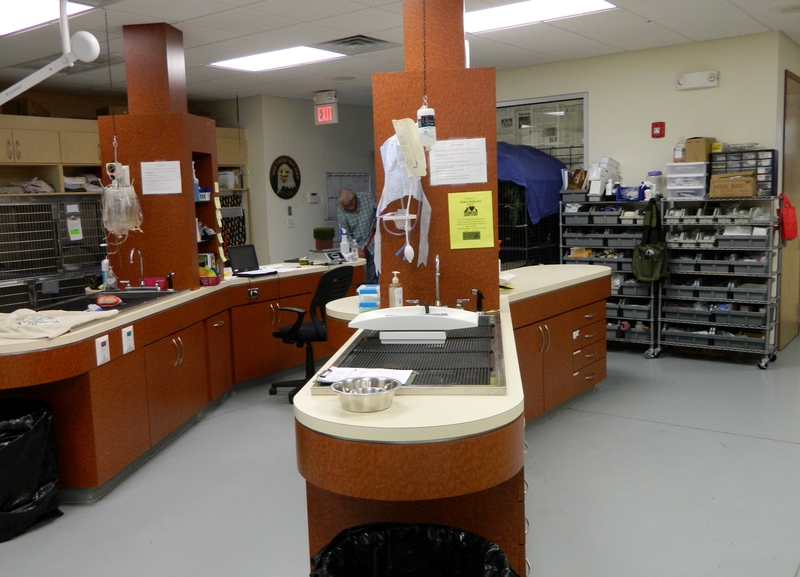 Their state of the art facilities include routine and emergency veterinary services, on-site lab work, radiology, dental, and isolation/boarding services for all your furry family members – from dogs and cats up to horses. Wait! Was that an an EMU you saw in the pasture? Why yes, yes it was! “Feathery” family members are welcome too! 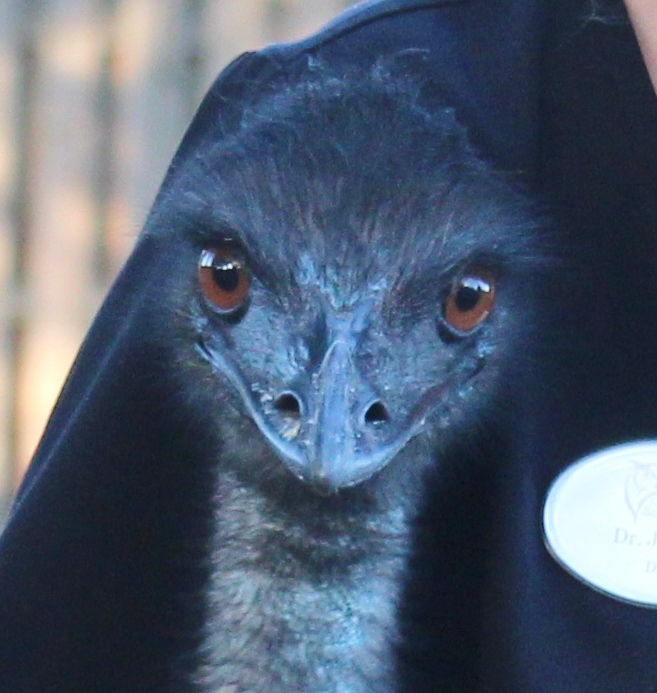 “Ethel the Emu” is your first clue that something pretty special is happening behind the curtain at the Rocky Point Animal Hospital. 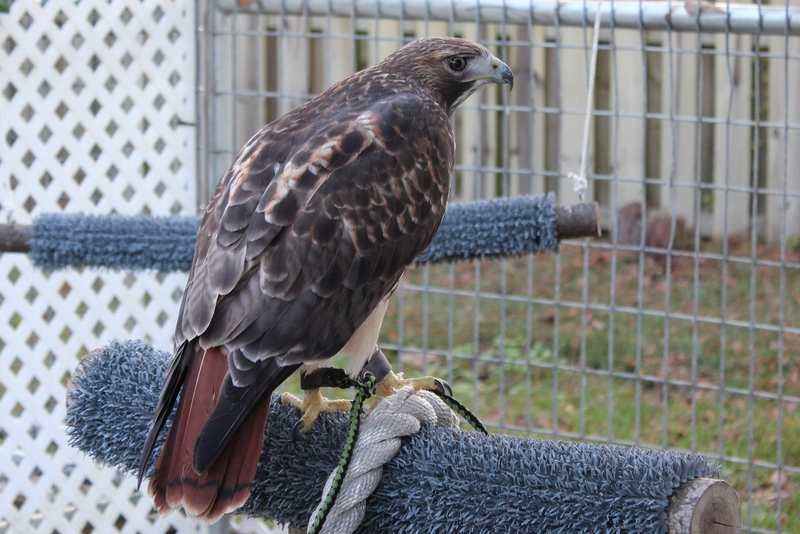 While Ethel is not a raptor, RPAH is also the home of the Cape Fear Raptor Center – the premier facility in eastern North Carolina specializing in the rescue, treatment, rehabilitation and release of the magnificent birds of prey found in our region. We first encountered CFRC through one of their many community educational outreach programs. 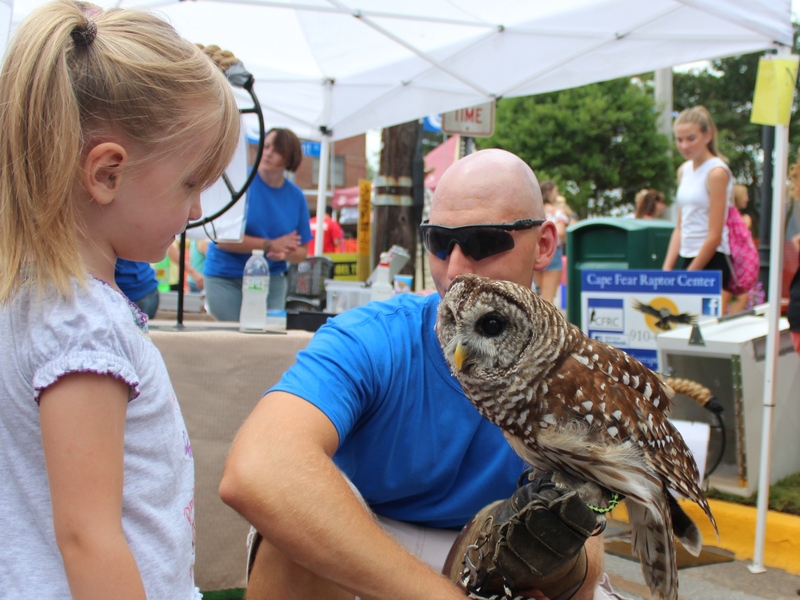 While strolling the vendor aisles at the 2014 NC Blueberry Festival in Burgaw, we met “Adelaide”, a beautiful Barred Owl. 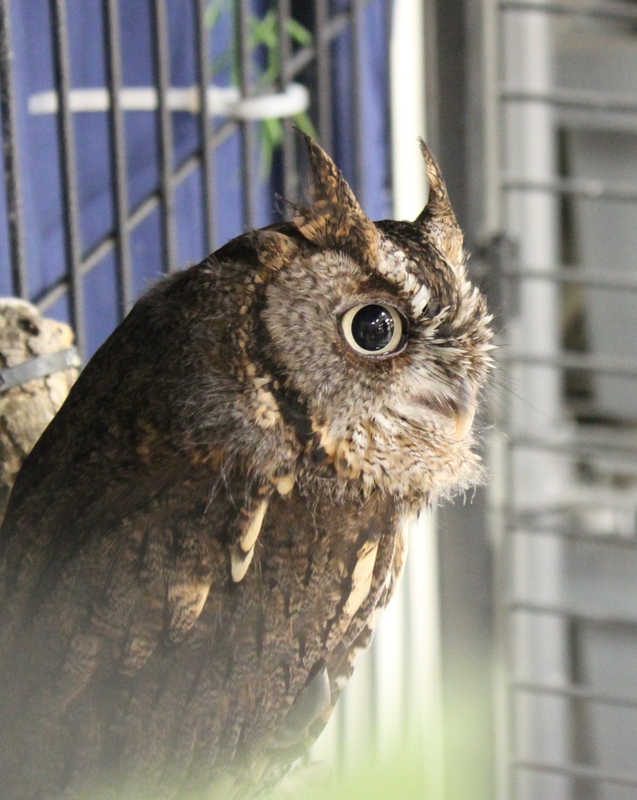 We knew the Raptor Center was in our general area, but it wasn’t until some time later we made the connection that they were based in the same facility where we take our Daisy Dog for routine veterinary care. Here at Frog Pond Farm; we see (and hear) raptors almost every day. We are constantly entranced by effortlessly soaring vultures, the speed and grace of hunting hawks, and wonder at the occasional osprey or eagle we see crossing our patch of sky. By day we hear the excited calls of the Red Shouldered Hawks who make their home nearby. At night we are often serenaded by the haunting and mournful sounds of Barred and Screech Owls in the forested wetland behind our home. So needless to say, we were both excited and honored to be invited by Director Joni Gnyp to get a “behind the scenes” look at the Raptor Center’s operations. We are further privileged to share that experience with you! But first perhaps a bit of history? Sometimes it’s the best way to tell the story. 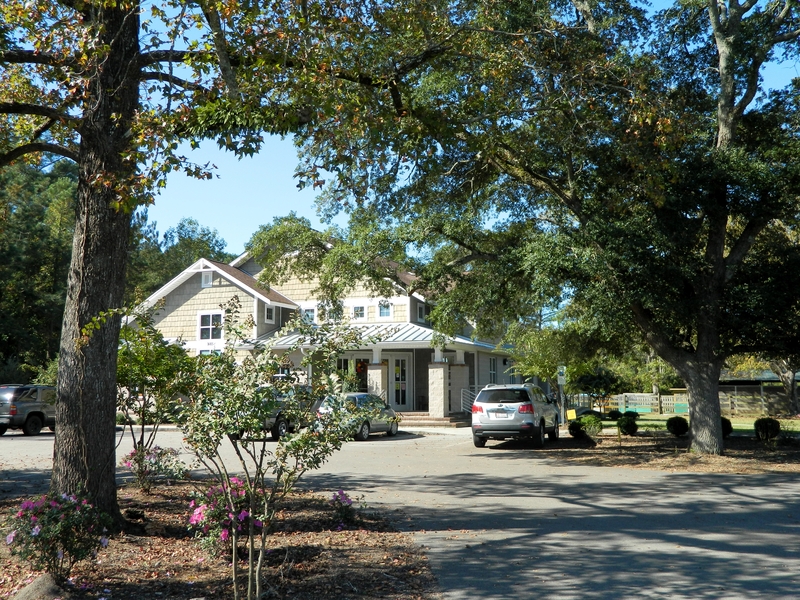 Along with her husband Martin (who manages the business end of things), Dr. Gnyp founded the Rocky Point Animal Hospital in 2006. 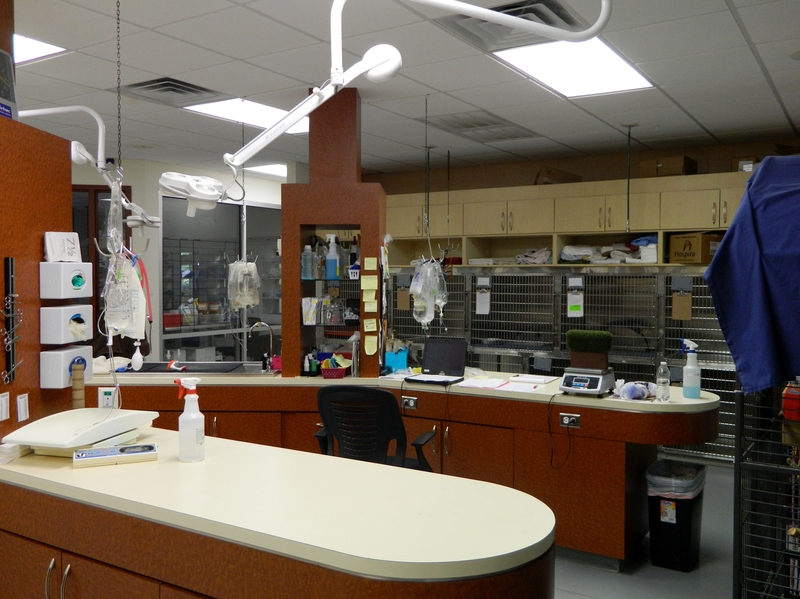 After several years of solid growth, they moved into the current facility in 2011 and continued to expand and upgrade the veterinary practice. 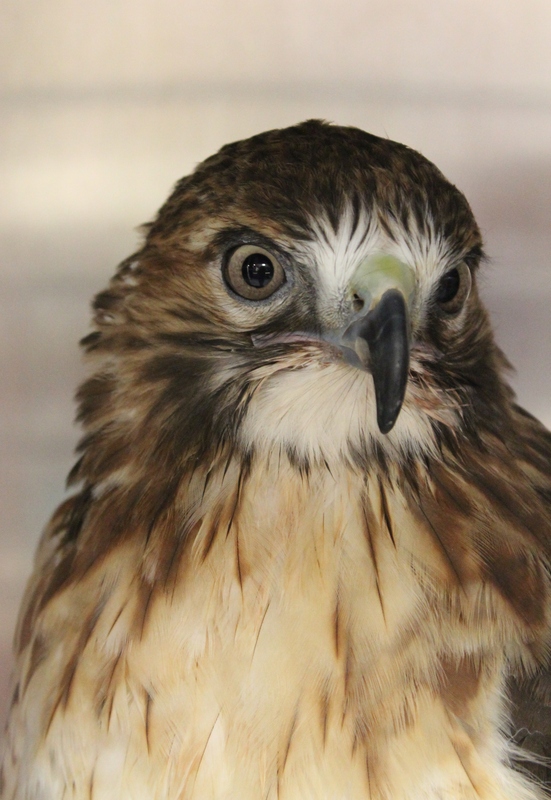 Then “Fate sneaked up” on Dr. Gnyp in 2012; when a local citizen brought an injured Red-Tail Hawk into the clinic. This bird had a badly broken wing, likely from being hit by a car as it hunted near the roadside. In it’s current condition many veterinarians might have shrugged, euthanized it and moved on to the more profitable dogs and cats in the waiting room. Even Dr. Gnyp was at first somewhat hesitant, as she had no experience in treating birds of prey. But she was intrigued by the beauty and majesty of the animal, and was encouraged by Martin – “you should fix it – that’s what you do”. So with this initial push, she started to research and “figure it out” as she went. And Dr. Gnyp DID save it’s life! However it was too badly injured to ever again hunt and survive in the wild. But during the long and intensive process of treatment and rehabilitation, something amazing happened! 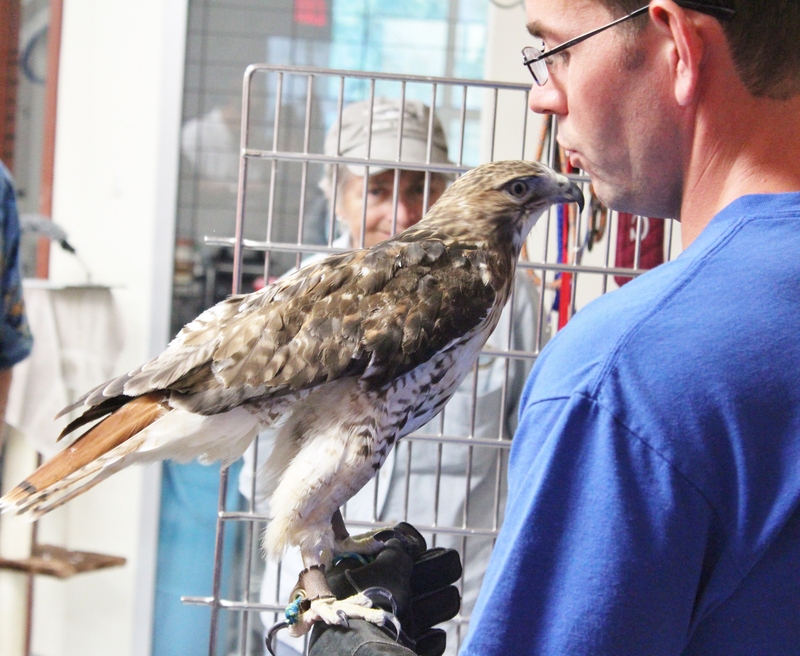 The entire staff of the Rocky Point Animal Hospital became emotionally attached and vested – and fell in love with this hawk, and birds of prey in general. 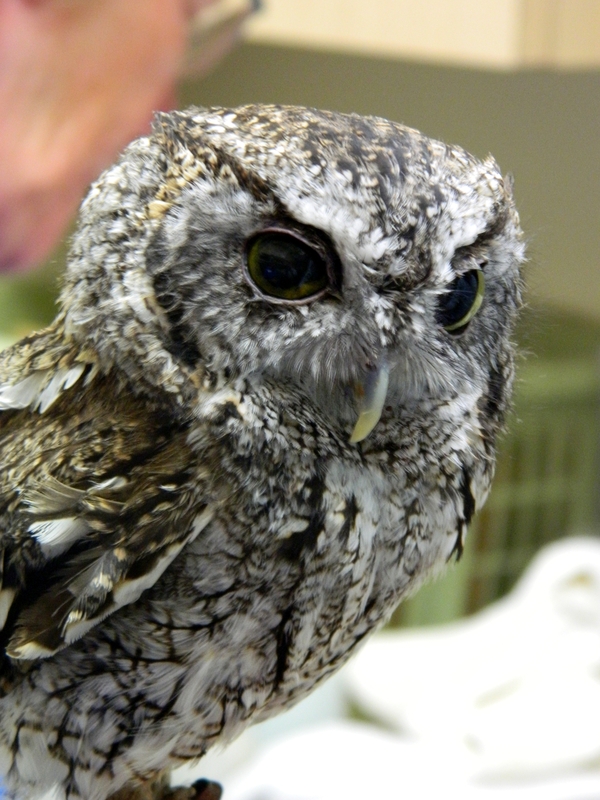 Then came a serious quandary – almost of crisis proportions to the staff of the budding Raptor Center. 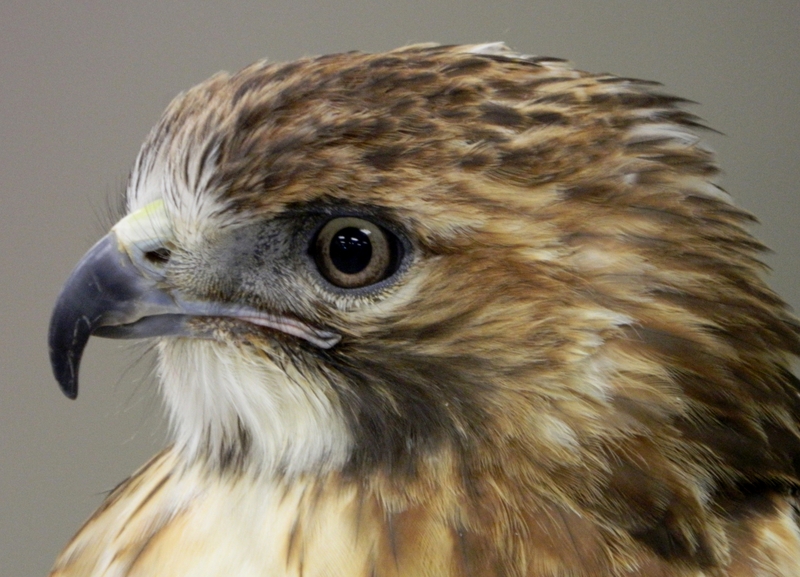 You see, hawks (and all raptor species for that matter) are protected species under a number of Federal and State laws which date as far back as the Federal Migratory Bird Treaty Act of 1918. As a licensed veterinarian, Dr. Gnyp and her veterinary clinic are legally empowered to treat and save the life of protected birds. 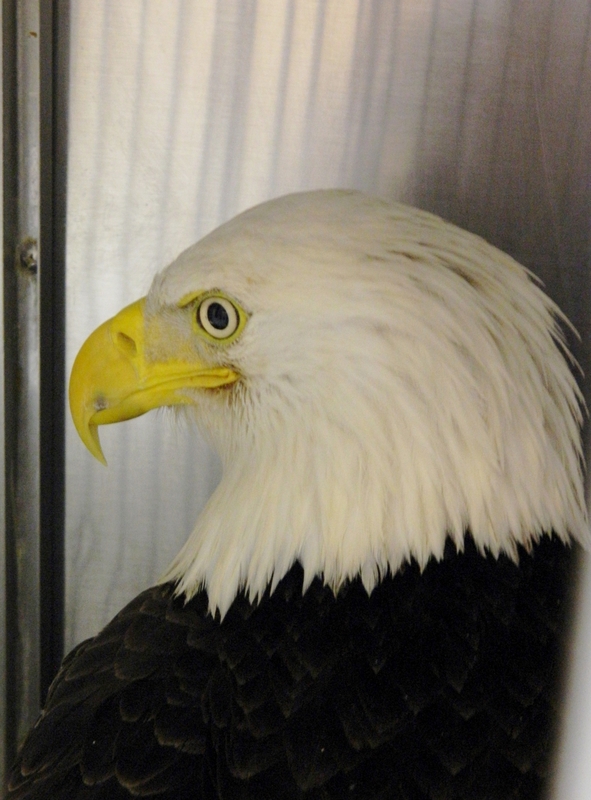 However she was not authorized to house those birds beyond the period of emergency treatment and rehabilitation – even if the animal could not survive in the wild. Lacking the proper State and Federal certifications and permits, they were forced to turn the hawk over to someone who possessed the “right credentials”. 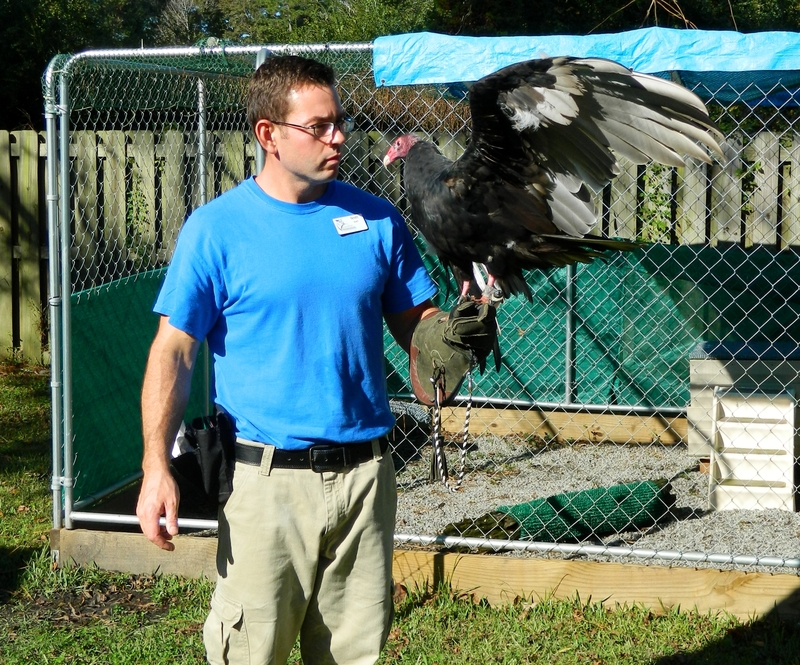 Dr. Gnyp was somewhat familiar with Dr. David Scott at the Carolina Raptor Center in Huntersville NC. 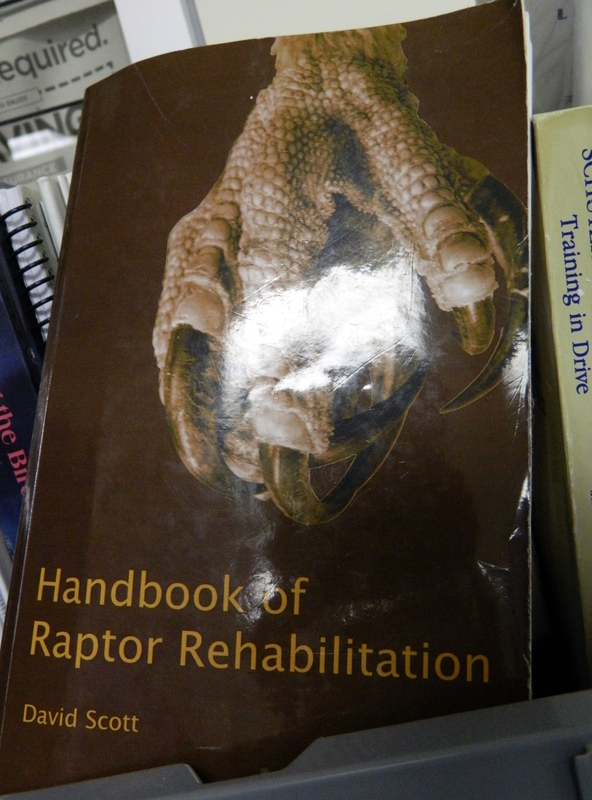 Dr. Scott literally “wrote the book” on raptor rehabilitation. Being somewhat “local”, he was an obvious choice for reaching out for guidance. He then became contact, friend and mentor to Dr. Gnyp as she pursued her new passion for raptors! 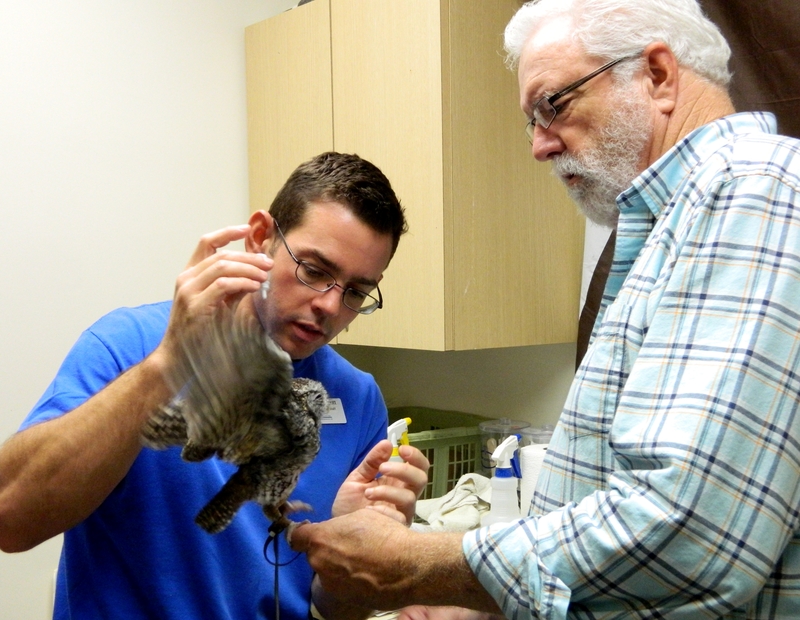 As there was no licensed raptor rehabilitation center on the central east coast, Dr. Scott provided immeasurable encouragement and assistance in those early days. 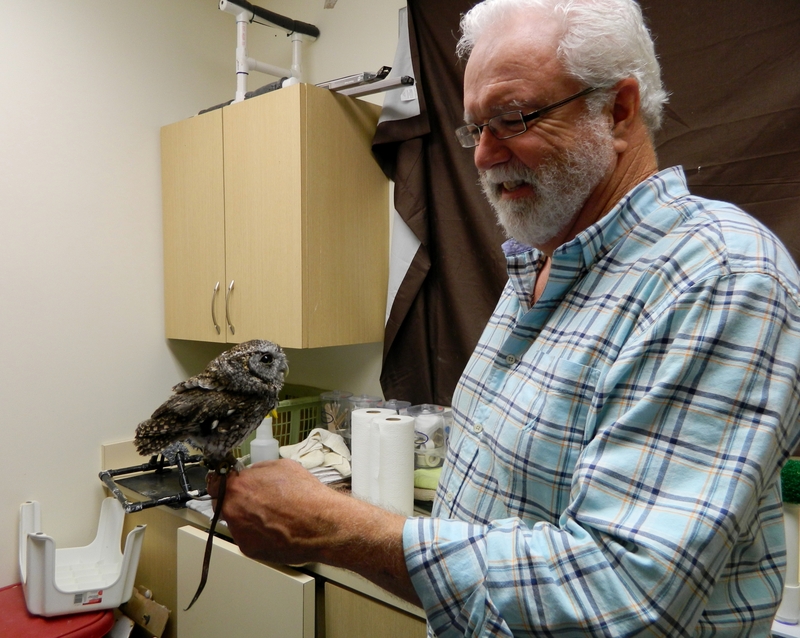 Telling Dr. Gnyp – “we – and the birds – badly need someone to help in your area!” Scott shepherded Dr. Gnyp through the maze of bureaucratic pitfalls and licensing requirements necessary to provide for raptors beyond immediate emergency treatment. And in early 2013, the Cape Fear Raptor Center was truly “born”; with incorporation papers in hand and fully permitted by both the US and NC state governments! 2015 has been a year almost explosive growth. 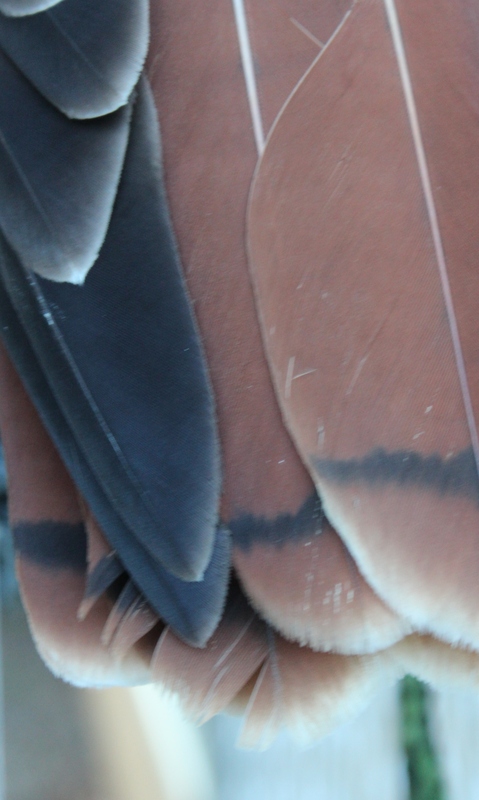 Dr. Gnyp estimates that by the end of 2015, more than 300 birds will have passed through the Center. At any given time, as many as 45 might be in treatment, rehabilitation, or cared for as educational/outreach specimens. 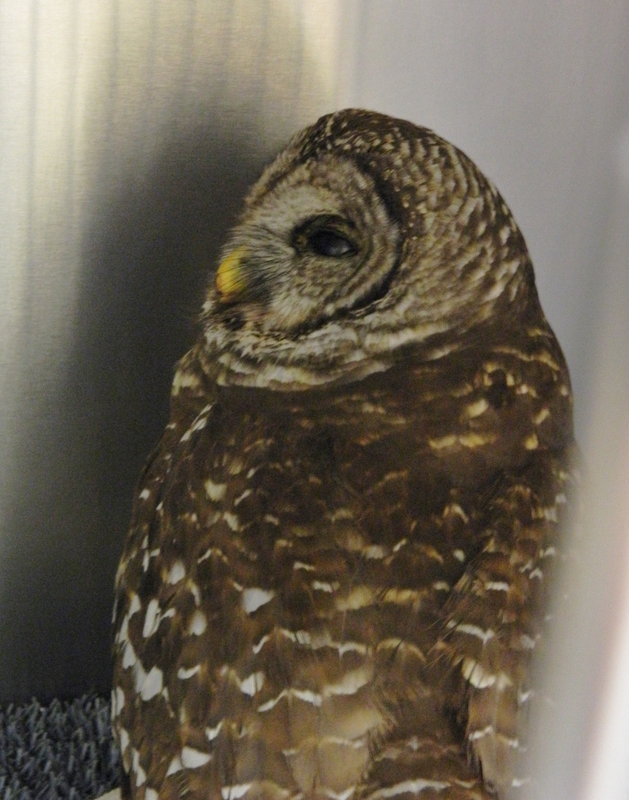 When we visited on October 30 and November 6, there were approximately 25 birds in various stages of rehabilitation. Also in 2015, the Center hired it’s first and (so far) only full-time employee – “Rehabilitation Coordinator” Scott Shimp. Scott figures prominently in many of the photos here. After spending several hours in his company; we can’t think of many others who are making such a positive contribution to their community; and for the benefit of the wildlife with which we are privileged to share our environment. During our visits, Scott was instructing volunteers on medication and therapy protocols, preparating food and supervising bird feedings, presenting the bird/patients to visitors, and generally being very patient with us as we tried to document the work that the Raptor Center is doing. Great work, Scott! 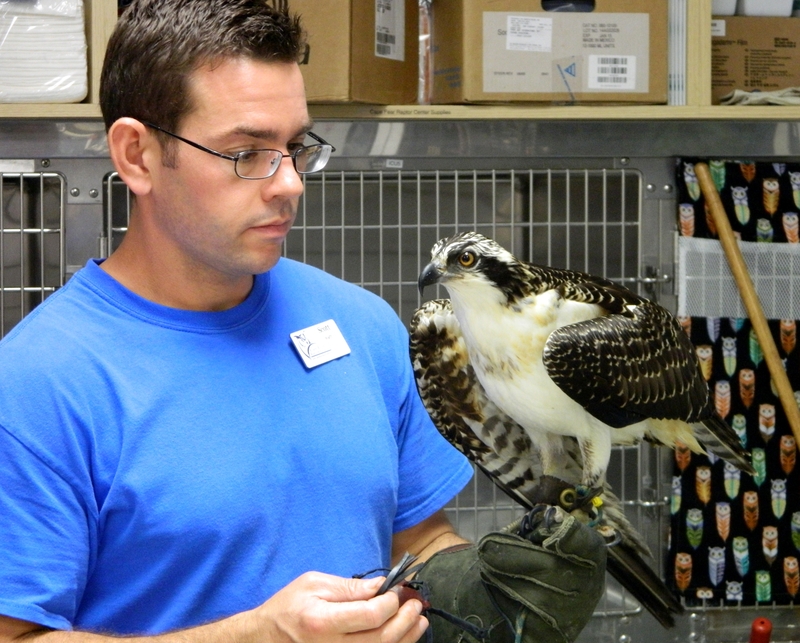 We chatted at length with Dr. Gnyp on the logistics of running an operation like the Cape Fear Raptor Center – what works, what are the challenges, how do you staff and maintain proper care for the multitude of animals under your care? How is it paid for? What’s the “success rate”, and how do you define “success”? What are your challenges now, and what are your plans for the future? 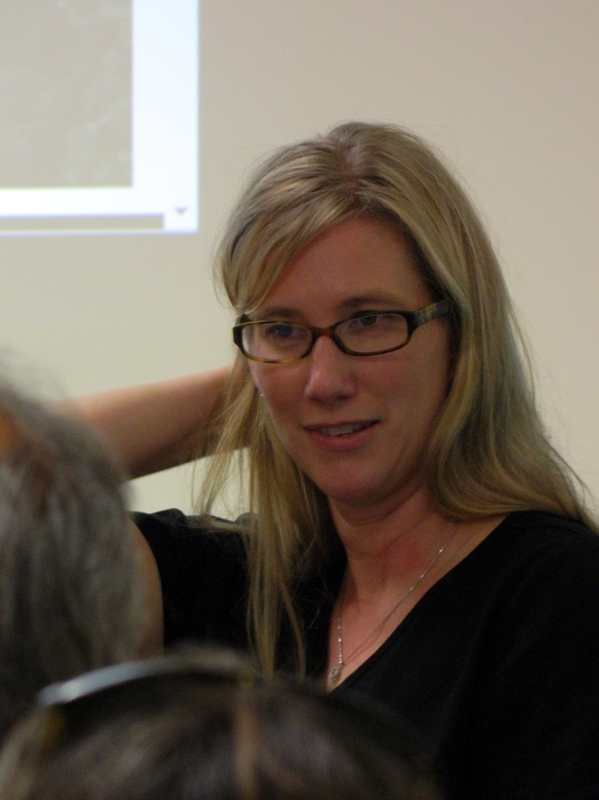 We hit Dr. Gnyp with some wide-ranging questions; but she was very focused and committed on one single point – “the welfare of the birds comes first”. 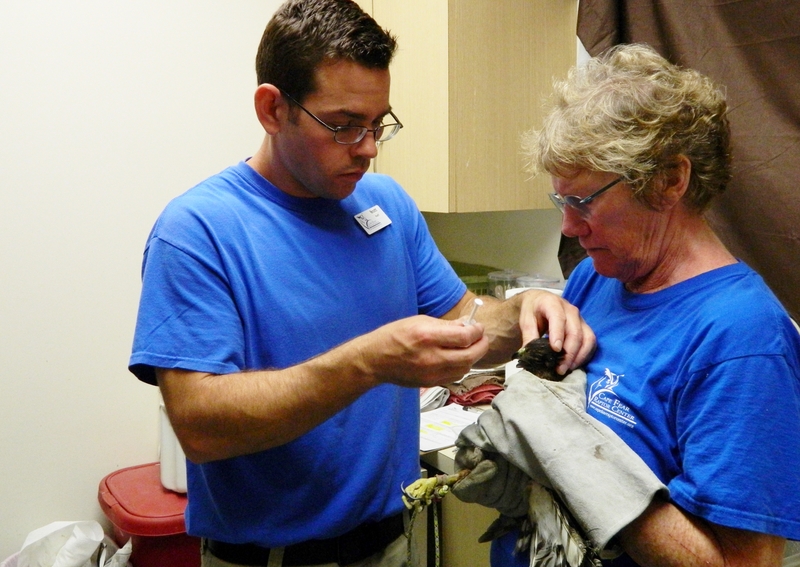 When an injured raptor comes in, a triage must be performed. This triage is somewhat complicated; but is very important not only to the fate of any individual animal, but as well to the population of the species. Can this particular bird’s life be saved? Can this bird be successfully be returned to survive in the wild? Sometimes a bird can be saved – but due to the extent of it’s injury it can’t be successfully released to survive in the wild. Is it’s individual temperament conducive to long term captivity as a display or educational specimen to generate awareness to help protect the species going forward? Or will it be stressed and miserable after being “healed”? It’s an incredibly tough call, and as lover’s of wildlife we do not envy the decisions that the Raptor Center sometimes has to make. But euthanasia of a patient is sometimes the most ethical choice. 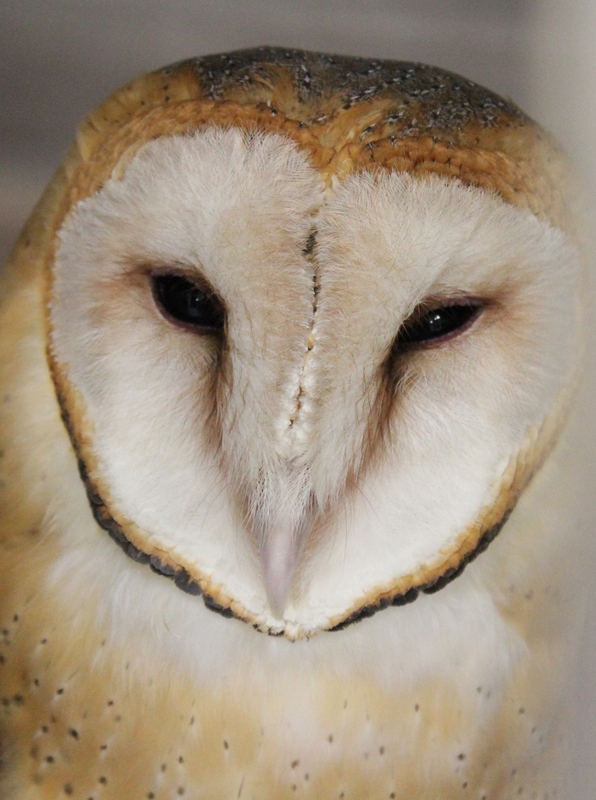 In the few years that the Raptor Center has been “official”, Dr. Gnyp says the CFRC always gives each patient the “benefit of the doubt” towards recovery, and between 50% and 60% percent of the birds coming through the Center are successfully released. That might seem a low percentage to some; but it is actually a phenomenal success rate for animals which seem so strong in the air – but are so weak when broken on the ground. As far as staffing is concerned – Dr. Gnyp is in charge of veterinary care and Scott manages the rehabilitation activities. 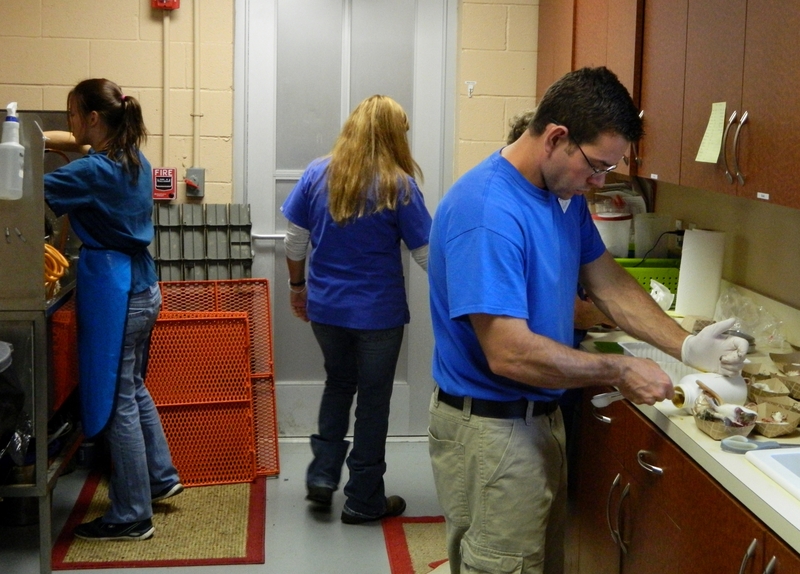 Everything else – from cage cleaning, transport, assisting with feeding and educational presentation – is all handled by volunteers. In November 2015, CFRC was operating on the efforts of about 50 volunteers; of which about 20 are considered “core” rehabilitation assistants. Another 30 are lined up to assist with various educational events and fund-raising; which are also critical to keeping the organization in operation. A love of wildlife in general; and raptors specifically. They are in high school, college kids, retirees, and working folk with some time and energy on their hands. They love to see the raptors soar – but cleaning cages doesn’t necessarily top their list of enjoyable activities. Seeing a bird released into the wild – especially one they have helped nurse back from injury or disease – is one of the greatest moments of their lives. The younger ones plan to go into wildlife related careers – or not. Regardless, they consider this an option that interests them. And the fact that so many young people consider this to be a viable career makes us happy! Providing veterinary care, housing, food and rehabilitation for these magnificent animals is a pretty expensive proposition; even with an army of volunteers. The Center has lined up several corporate sponsors; but still relies heavily on individual (Tax exempt – hint hint) donations. Make that direct donation, obviously. Schedule a visit to the Center and catch one of their presentations. Learn about the birds and tour the facility. 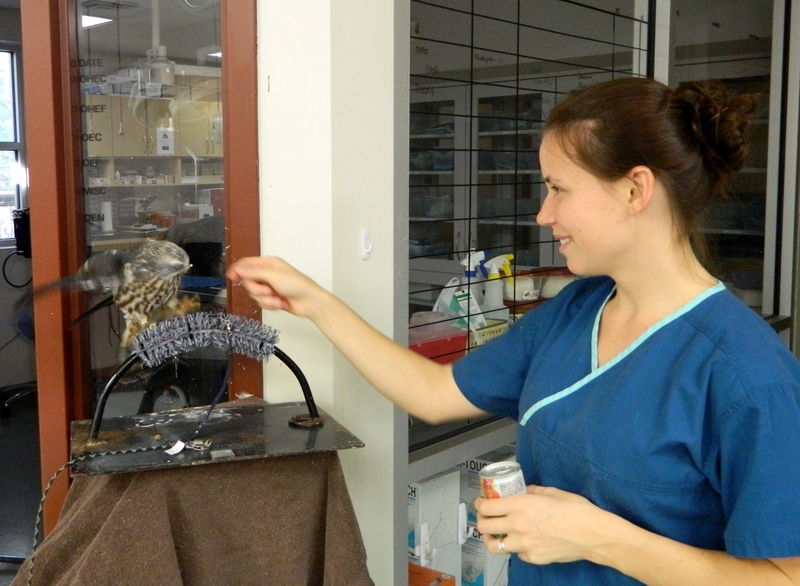 Some presentations even give you the opportunity to feed a raptor, or have one fly to your (gloved) hand! Fees for these events goes directly into bird care. Check their calendar or give them a call at 910-687-6888 to reserve your seat. 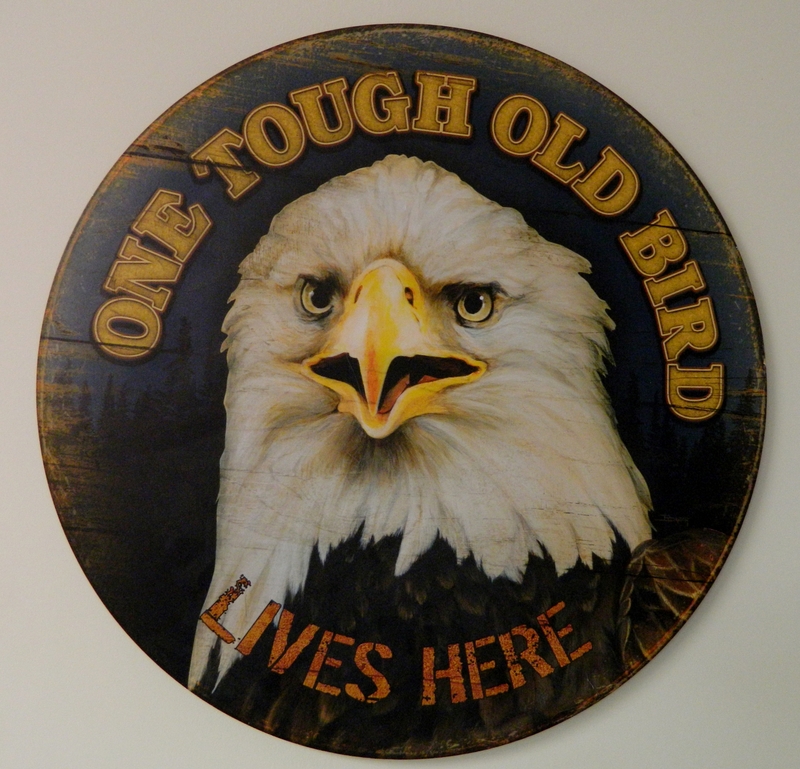 Stay tuned for a future post on this site, when we’ll tell you about our visit to their “Spread Your Wings” Experience! Shop Smart! 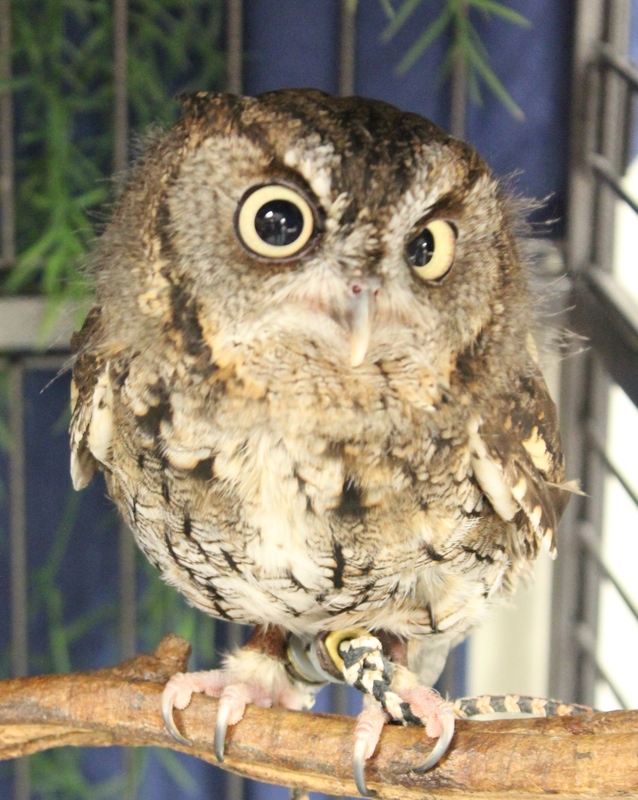 Cape Fear Raptor Center has partnered with “One Percent for the Planet”, an organization that connects various merchants with non-profits. 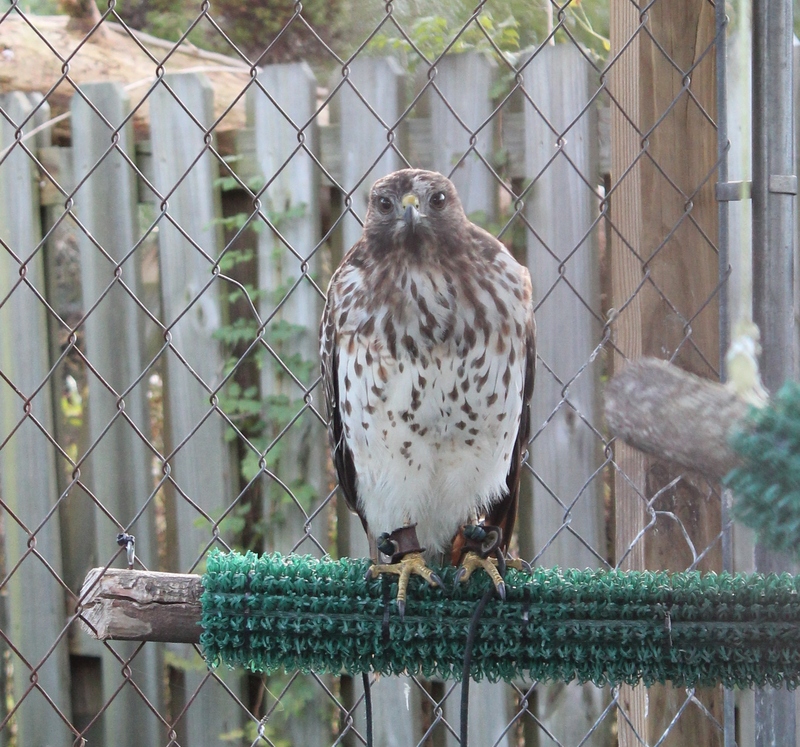 Make your online purchases through the Raptor Center link http://www.capefearraptorcenter.org/shop-to-support.html; and a portion of the purchase price is donated to the Center. See? Wasn’t that easy? You can also configure your Amazon.com account to a “Smiles” account, and specify the Center to be a recipient of Amazon donations. Let’s all do what we can that these Silent Wings may once again soar! Thanks for dropping by! Check in often, as you never know what we’ve been up to! Don’t forget to Like us on Facebook, and follow us on Twitter! birding, eagles, falcons, hawks, osprey, owls, raptors, silent wings, vultures, wildlife rehabilitation. Bookmark.